Caitlin ?Kinny' Simpson is half Jamaican and half Native Indian and was born in Canada. She is a classically trained Opera singer, but her love for reggae and jazz always came first and touring with a reggae band resulted in her visiting Norway and deciding to live there. This is where she met Espen and beautiful music began! 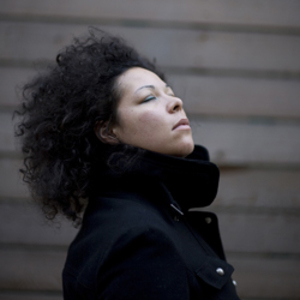 After the release of the album, Kinny became a regular visitor to the UK with gigs at The Big Chill, Cargo, Jazz Caf?, Concorde 2, Native, and across Europe. From these travels she hooked up with a variety of producers and started making some fine, fine music.